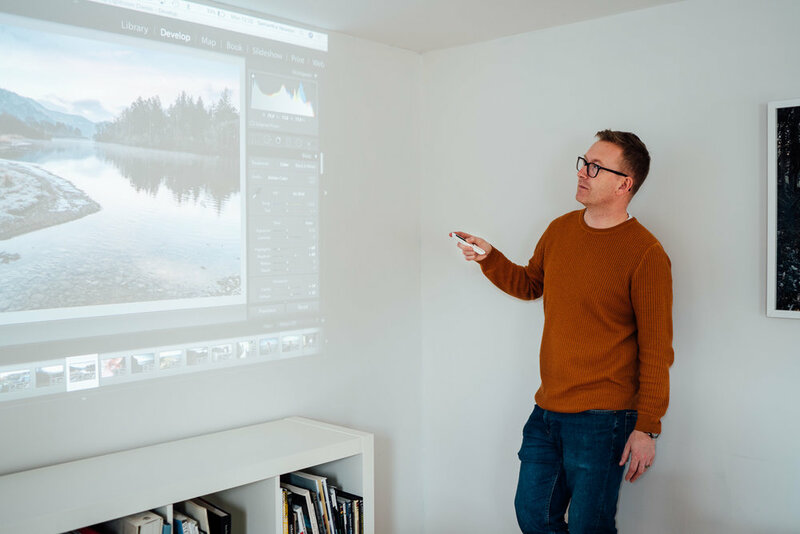 The course aims to give the participants a refresher on the most important elements of Adobe Lightroom Classic CC, including file management, advanced developing techniques, printing and new features. Lightroom is a fantastic piece of software but there are elements of it that can be a bit baffling. 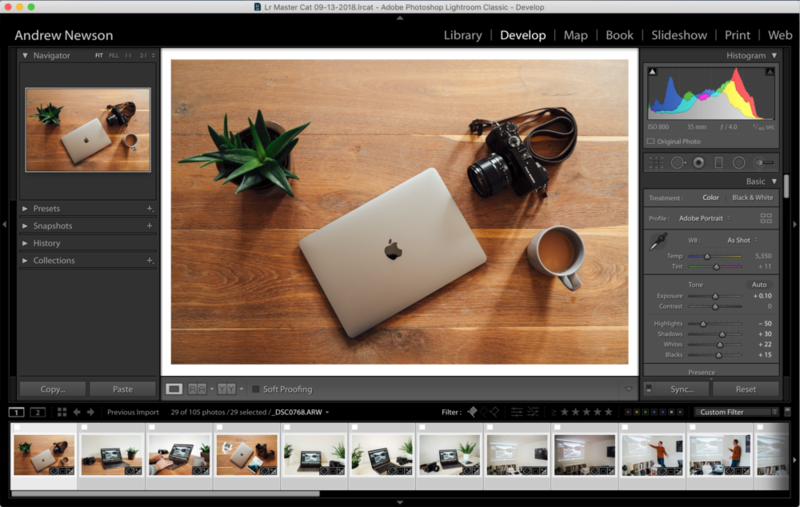 We address this and hopefully everyone will finish knowing how to do key tasks in Adobe Lightroom, including organising their photos and processing images to a high standard. In the course we will do a complete overview of the Library and Develop modules. We will learn how to manage our image files with Importing and Exporting. Learn how to create and use presets to speed up our workflow. Learn about all of the Tools in the Develop module and learn how to process our photographs in both colour and black and white. You will follow me whilst I complete tasks in Lightroom on a large projector screen. The course is run on Friday 17th May from 10am until 4pm, with breaks throughout the day, and is held at my studio in Crowborough, East Sussex. A laptop (or desktop) computer with Adobe Lightroom Classic CC installed. The studio is just a 1 minute walk from Crowborough train station, which has direct links with London (London Bridge). The course times are scheduled to work well with train times. There is free parking in a carpark almost adjacent to the Railway Tavern pub and station entrance. The first spaces are short stay and the ones further in are long stay. Walk out from the carpark and turn right, walk up the hill (Crowborough Hill) and look for a driveway on your right, immediately after the Animal Welfare Charity Shop. I am on the left at the end of the driveway. A – Up to 6 individuals in the group. I’m confident that I can help you improve your Lightroom skills, but don’t take my word for it, read what my clients have said about my courses here on my testimonials page.